Vector illustration - illustrated medical diagrams and instructions. Explaining a procedure or instructing on how to use a device can be challenging with words alone. Sometimes the key to getting an important message across - is to take a visual image and break it into parts that can be viewed and understood. We can draw or illustrate any kind of instructions. 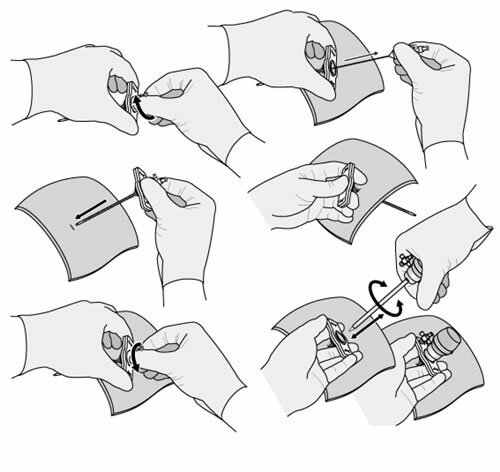 Here we drew step by step how to use a new tool. These types of drawings can be done for the medical industry, tool manufacturers and distributors and many others.